Seasoned entrepreneurs will tell you to network. “You never know where it may lead. You don’t know who you’ll meet or what they can teach,” they say. Even successful business owners never stop networking. They continue to build their network with the aim of establishing a larger community in which to share ideas. Level Up Village seeks to spark this type of networking from a very young age starting in the elementary school classroom. 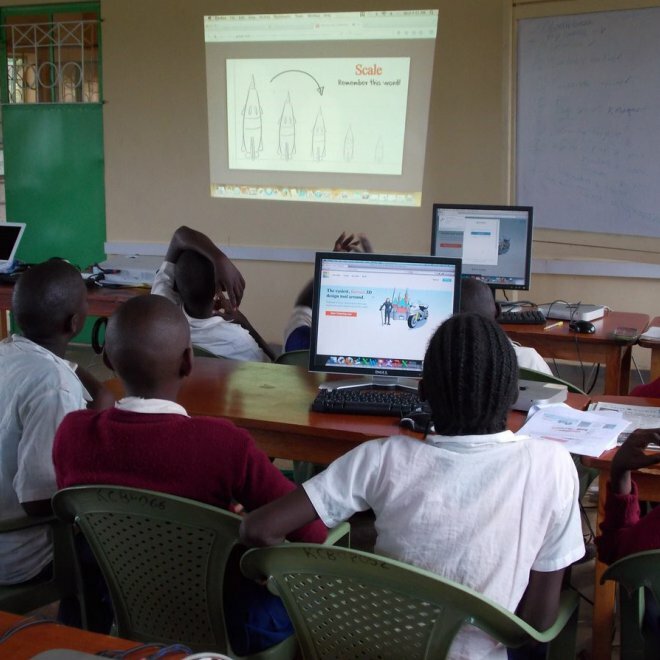 The ed tech startup, based in Greenwich, Conn., connects classrooms domestically with partner schools all over the globe. The co-founders Amy McCooe and Neesha Rahim combined their entrepreneurial spirit with a practical purpose: to teach science, technology, engineering, arts, and mathematics to children with an emphasis on global collaboration and communication. Currently, the Level Up Village program is in more than 120 schools in the U.S. and over 20 countries. Global partners include nonprofits, nongovernmental organizations and schools in Nicaragua, Uganda, India and Egypt. We want to see education be something that inspires [our children] to be curious and have fun learning, as well as prepare them for the…jobs of today that require both global competency skills and STEM skills. Being part of a Level Up Village classroom teaches more than the subject material; it is a direct way for children to learn cultural capital. Each American student is paired with a foreign student, with whom he or she will exchange “video letters,” a pen pal for the 21st century. Additionally, students collaborate with their individual global partners on STEAM projects such as co-designing websites, solar powered flashlights, and building video games. A portion of the Level Up Village tuition paid by U.S. students and schools is given to the foreign school in the form of a grant. Teachers overseas can access relevant training as a result of this grant and students in the developing country also receive the supplies and resources they need. “In order for [the kids] to collaborate together, they need to have the same scaffolding in place. That’s where the social enterprise piece of it comes in and the impact we make on kids around the world is significant,” Rahim said. One of the benefits of Level Up Village is combining education about the subject at hand with education about technology. For example, Global Explorers, a class for second, third and fourth graders, teaches about animals and biological classifications. Students use their classroom knowledge to create a multimedia presentation ― a transferable skill which could be useful for years to come. Another class called Global Scientists explores the impact of water on our planet. An American student can learn first-hand from a student in a developing country not just what the lack of clean water means to over one billion people, but how it affects that student personally. To learn more about Level Up Village, visit www.levelupvillage.com. Meghan is a communications specialist and freelance writer with a passion for dogs, Rock 'n' Roll, live concerts, and all things '80s. Currently, she is pursuing her M.F.A. in Creative Writing at Fairfield University and volunteers at a local assisted living facility for the elderly.